Personalize your stethoscope by engraving the tubing currently at an introductory price of only $0.99. Tubing: A maximum of 24 characters can be engraved along the straight section of tubing between the point of bifurcation and the cross tubing support piece. Choose between engraving on the outer "front" aspect of the tube or a more discrete, private engraving on the inner "rear" aspect. Learn more about the Model 3200 . Ergonomic, one-button control allows you to adjust volume and frequency mode with one finger. 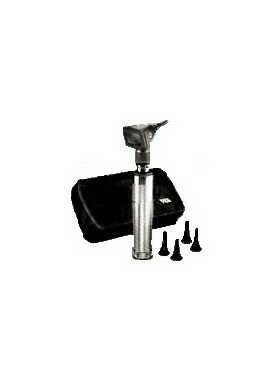 Traditional cardiology tube set allows scope to easily fold and be placed in pocket. Versatile chestpiece can accommodate infant, pediatric and adult patients. Nonchill diaphragm for patient comfort. Patent-pending low friction diaphragm surface. Excellent acoustic seal and comfortable fit with patented 3M™ Littmann ® Snap Tight Soft-Sealing Eartips. Automatic power shut-down after 3 minutes from last button activation. Performance tested to withstand accidental drops to the floor and impacts against bed rails and door frames. Recommended for cardiology and high-performance adult and pediatric use. 3M™'s new Ambient Noise Reduction technology reduces distracting room noise by an average of 85% without eliminating critical body sounds. This stethoscope is uniquely equipped to help you pick up difficult-to-hear heart, lung and other body sounds. The proprietary Ambient Noise Reduction (ANR) technology, internal to the chestpiece, acoustically cancels out an average of 85% of distracting room noise, greatly enhancing overall utility. This acoustic canceling effect is different from electronic filtering, which may also filter out some portions of body sounds clinicians need to hear.